IBF world featherweight champion and lifelong Leeds United fan Josh Warrington says he would consider using Marcelo Bielsa’s famous blue bucket as a stool for his next fight. 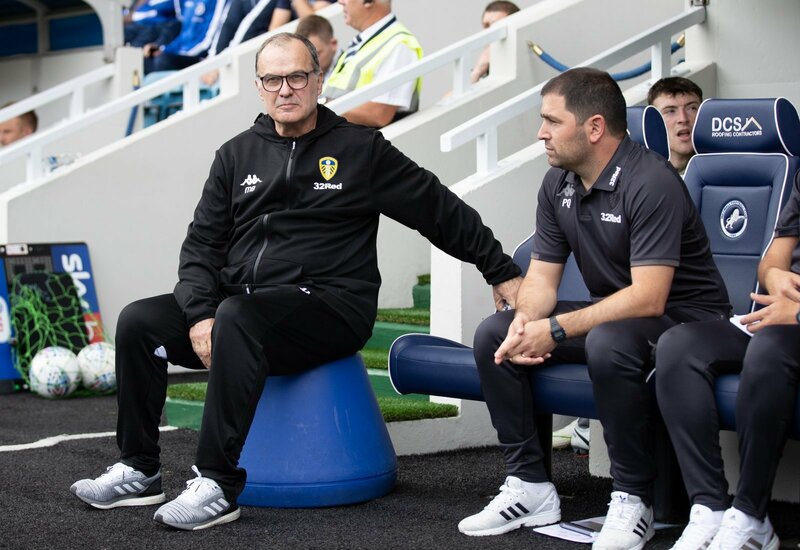 The Leeds boss is often seen sitting on a upside down blue bucket on the touchline at Elland Road and Warrington said in a recent interview with The Sun that he would consider using it as a stool for his next bout. Warrington, a long-time season-ticket holder at Elland Road, is due to defend his IBF featherweight title against Kid Galahad at the First Direct Arena in Leeds on June 15. When asked if he would consider using Bielsa’s bucket as a stool, he said: “That would be nice, but I’m not sure whether my dad would lift it in and out of the corner quick enough! “Bielsa is amazing, though, a proper box of tricks. The players speak so highly of him, he makes us all believe,” he added. Warrington became the first man from Leeds to win a world boxing title when he defeated Lee Selby in an epic bout at Elland Road last year. The 28-year-old admitted that he gets a different buzz from watching his beloved team play, compared to being in the ring. Leeds took a big step towards automatic promotion on Saturday with a 1-0 victory over Sheffield Wednesday at Elland Road, with Jack Harrison’s 65th-minute strike enough for the three points. The Whites are now three points ahead of third-placed Sheffield United in the Championship table, with just four matches left to play. Warrington is a lifelong Leeds United fan and a long-time season ticket holder at Elland Road, so no doubt he would have been delighted to see his team move three points ahead of Sheffield United in the promotion race. The world champion boxer is right to praise Bielsa, who deserves tremendous credit for what he has been able to achieve since taking charge of the club. While they are not there yet, with just four matches left to play, Warrington has every reason to be confident of his side’s chances of promotion this season.